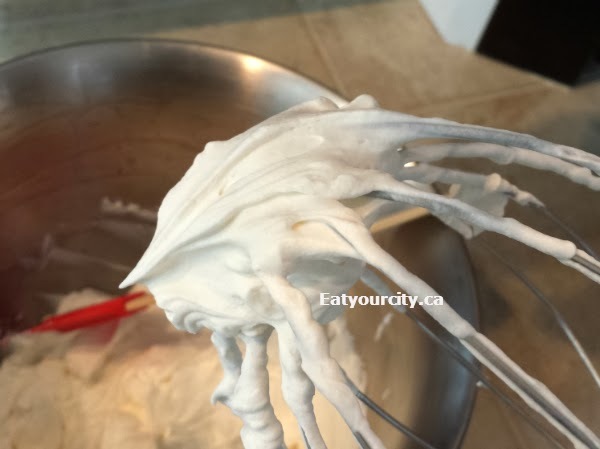 Eat Your City: Chantilly cream recipe - or chocolate, coffee, spiked... super simple and delicious to add to scones, fruit, cream puffs, desserts.. or morning coffee lol! Chantilly cream recipe - or chocolate, coffee, spiked... super simple and delicious to add to scones, fruit, cream puffs, desserts.. or morning coffee lol! Posted by I've always loved the taste of Chantilly cream, but have never bothered to make it ask I thought it would be fussy, take too many ingredients.. and I hate finicky fussy recipes. Until one day, I looked it up and was literally: That's it? The basic Chantilly cream recipe involves 3 ingredients and I discovered you don't need to follow some of the fussy steps some recipes out there call for... as long as you have good quality ingredients and a half decent mixer (or are prepared to whip it and whip it good for a good long time until it feels like your arm falls off).. its as easy as dumping it all in and within a few minutes.. nom!!! Yes, I've done this by hand before.. and man, you will have crazy burning arms afterwards! Using a mixer with a whisk attachment will make your life a whole heck of a lot easier. You can use the standard beaters on say a handheld mixer.. just keep your eye out towards the end so you don't accidentally make butter. I used my pro 600 Kitchen-aid mixer (best Xmas present ever!) and it was a breeze. Make sure you buy fresh heavy, whipping (even cooking cream works) with a milk fat percentage of 35-40%. The higher the fat content, the better it'll taste. Don't try to cut it with half and half... just use the full fat stuff cuz it'll actually work and blob on less (if you're worried about calories) onto your desserts, fruit, coffee or whatever you want... or just go nuts... gotta live a little once in a while! And if you're worried about lactose, you can fear noone being rooty-tooty anymore as Lactancia makes a lactose free whipping cream! Its a bit on the sweeter tasting side as I think they just treat the cream with some lactase which breaks down lactose into milk sugars everyone can digest without tooting. Basic recipe is below, but you can add in optional flavorings to make chocolate, coffee, eggnog, fruit flavored... or add in some alcohol to make it adult friendly to top off your scones, tarts, pies, puddings, desserts and more! Chantilly cream with apple cinnamon eggnog bread pudding.. recipe to come! 2) Dump cream, 2 tablespoons sugar and flavoring into the mixing bowl and whip on high until its doubled in volume (10-20min if whipping by hand). Stop the mixer and taste test.. add more sugar if you like it sweeter. 3) Whip on high until the cream has a nice shine to it and when you scoop some out, its stiff enough to stand up a little bit, but soft enough to still kind of flop at the top. You can whip until its really stiff, but you want you Chantilly cream to be a softer cream. Don't walk away while the cream whips or you'll end up with some expensive butter. 4) Plunk cream in generous dollops on top of whatever you want. Stores well up to 2 days in the fridge in an air tight container - it will loose air and fluffiness over time, so you may need to re-whip it before serving. *Gluten free* - while fruit and chocolate and candy flavorings are largely gluten free, check your liquors to make sure they're truly gluten free before you add them in!